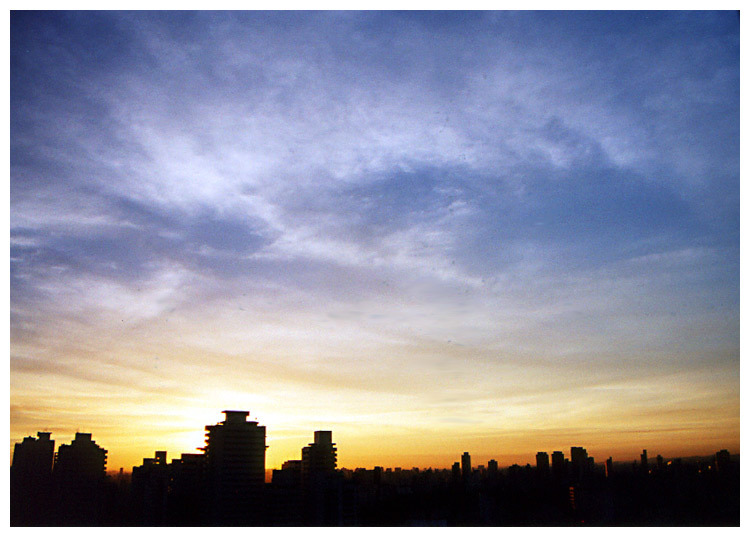 Фото "Wake Up Sao Paulo #03 - Bigger and Uncutted"
Like the shy, the city and the people...simple great ! Excellent composition and very beautiful Sky !! What a beautiful sky...rising almost like a halo over the city. I`m the first plac, i want to congratulate you for a beautiful picture of a sunrize!!!! The clouds in the sky are excelent!!!! Foste um privigiliado de teres, quer visto quer fotografado este magnifico nascer do sol!!!!! You like the sky and me too!